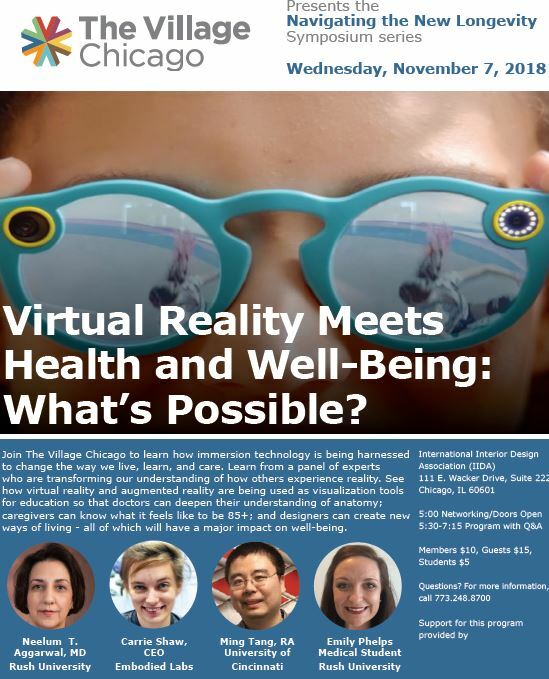 Explores the interactive virtual reality (VR) and Augmented Reality (AR) system, and real time rendering for architectural visualization, Human Computer Interaction, spatial behavioral and way-finding studies. Tang, Ming, and Christopher Auffrey. “Advanced Digital Tools for Updating Overcrowded Rail Stations: Using Eye Tracking, Virtual Reality, and Crowd Simulation to Support Design Decision-Making.” Urban Rail Transit, December 19, 2018. https://doi.org/10.1007/s40864-018-0096-2. This paper describes an innovative integration of eye-tracking (ET) with virtual reality (VR), and details the application of these combined technologies for the adaptive reuse redesign of the Wudaokou rail station in Beijing. 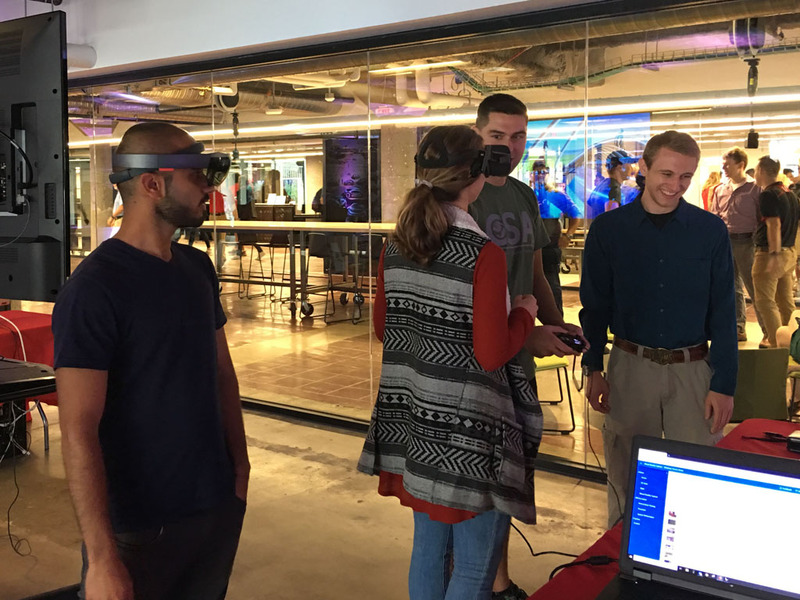 The objective of the research is to develop a hybrid approach, combining ET and VR technologies, as part of an experimental study of how to improve wayfinding and pedestrian movement in crowded environments such as those found in urban subway stations during peak hours. Using ET analysis, design features such as edges, and color contrast are used to evaluate several proposed rail station redesigns. Through VR and screen-based ET, visual attention and related spatial responses are tracked and analyzed for the selected redesign elements. This paper assesses the potential benefits of using ET and VR to assist identification of station design elements that will improve wayfinding and pedestrian movement, and describes how the combination of VR and ET can influence the design process. 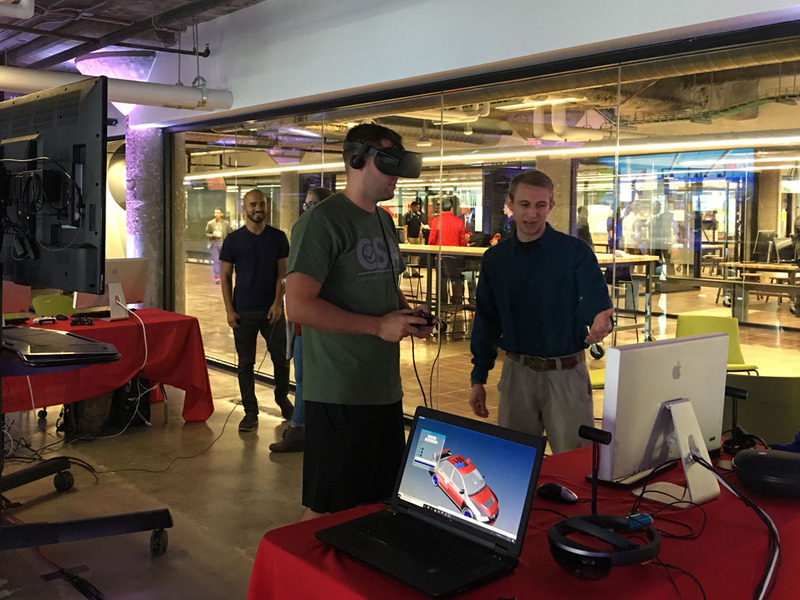 The research concludes that the combination of VR and ET offers unique advantages for modeling how the design of rail transit hub interiors can influence the visual attention and movement behavior of those using the redesigned station. This is especially true for crowded conditions in complex interior spaces. The use of integrated ET and VR technology is shown to inform innovative design approaches for facilitating improved wayfinding and pedestrian movement within redesigned rail stations. 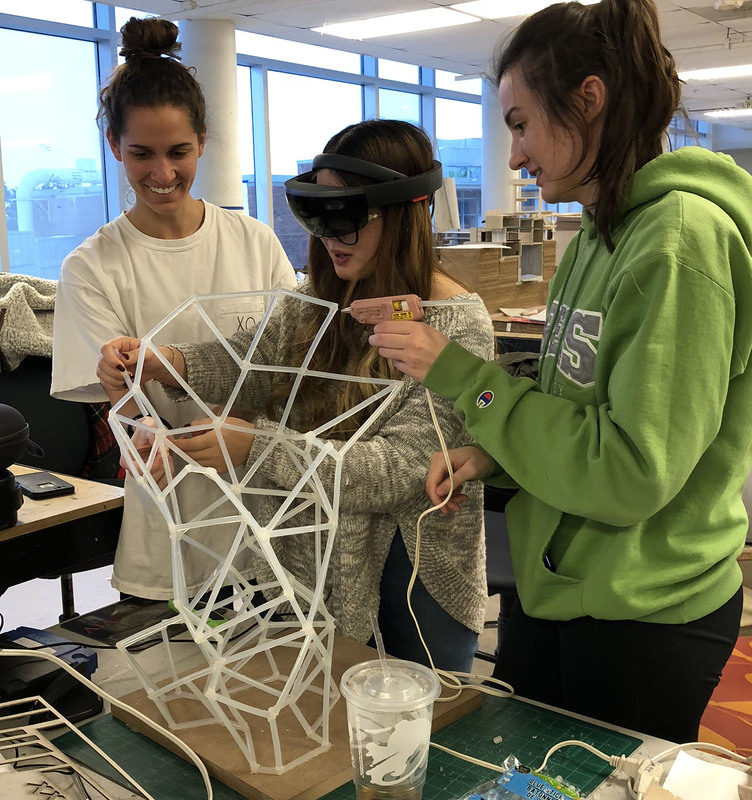 Check out Tang’s eye-tracking research with transit hub design studio ARCH4002, Spring 2018. 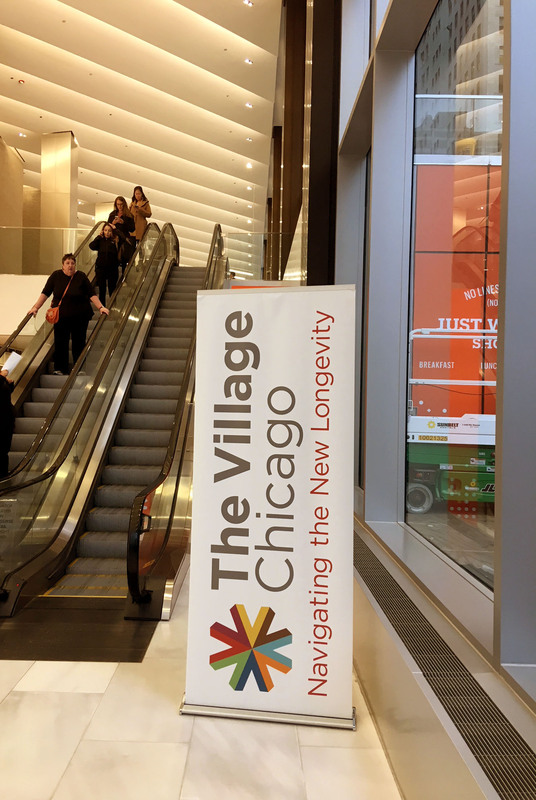 The Village Chicago organized a lively discussion of how immersion technology is changing the way we live, learn and care, a conversation exploring how immersion technology is transforming our well-being at all ages and stages of life – and be inspired to suggest new ways it can be put to use. Panelists include Neelum T. Aggarwal, M.D. ; Carrie Shaw, CEO, Embodied Labs; Ming Tang, RA University of Cincinnati; and Emily Phelps, medical student of Rush University Medical Center. Carrie Shaw, CEO, Embodied Labs presented at the symposium. 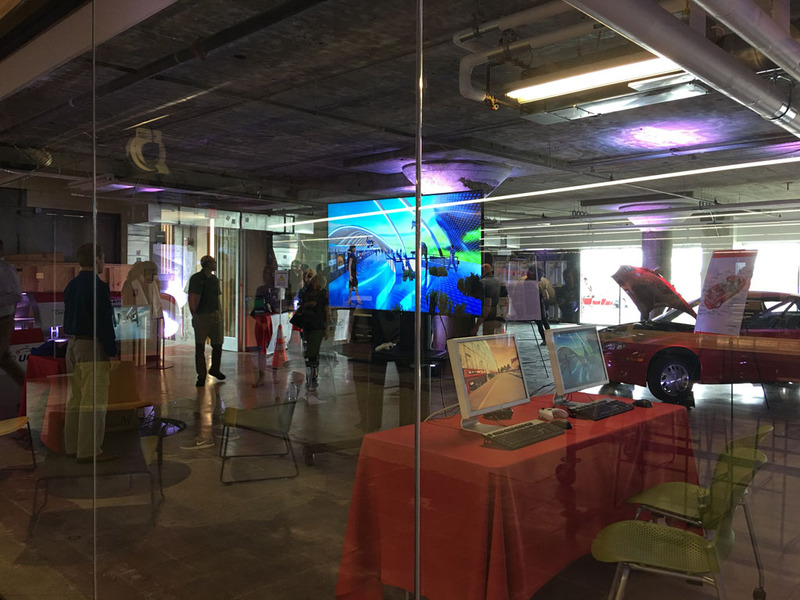 Our Virtual Reality and Augmented Reality exhibition in the 1819 Innovation Hub Grand Opening Celebration at the Unversity of Cincinnati. October 5th. 2018. SAID, SOD from DAAP participated the exhibition. Thanks for the support from DAAP CGC, and student volunteers! 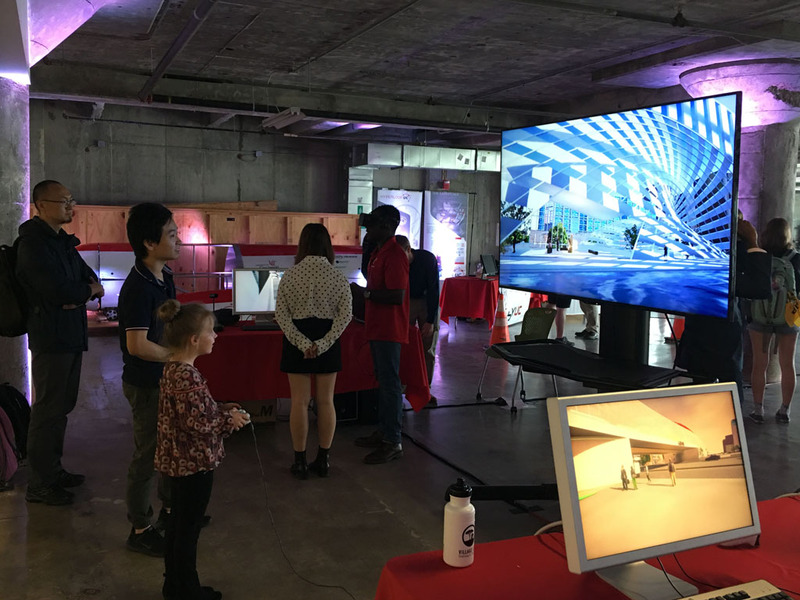 VR projects from Ming Tang’s ARCH studio “future transportation hub” in SAID, and AR prototype for holographic interactive visualization controlled by a remote user interface. Check out the video captured onsite. Augmented Reality in Hololens controlled by a remote computer. The AR & VR project for medical model. Animated heart. magic school bus project at the University of Cincinnati. Funded by the 2017 AHSS and Integrated Research Advancement Grant at UC. Magic School bus for Computational Cell” project constructed a mixed reality visualization at the College of DAAP and College of Medicine by integrating virtual reality (VR) and augmented reality (AR) for molecular and cellular physiology research. 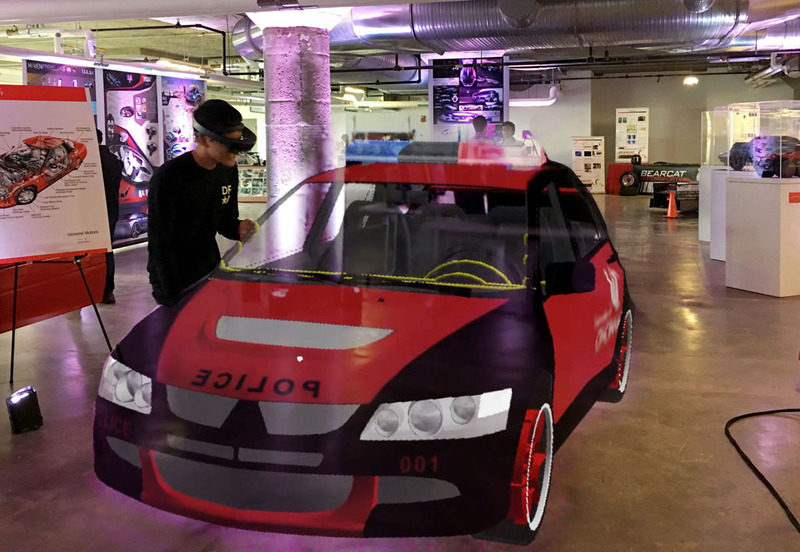 The project employed state-of-the-art VR and AR software and hardware, which allows for creative approaches using holographic imaging and computer simulation. 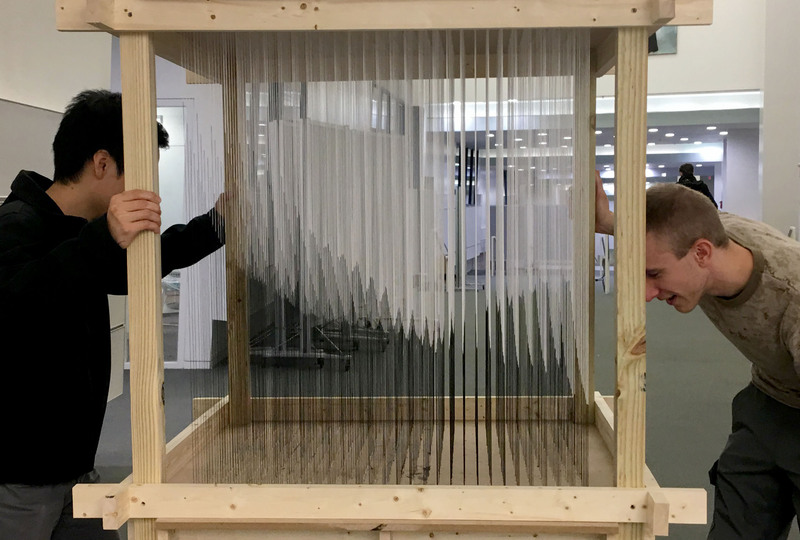 This project expanded our cutting-edge research in space modeling &amp; architecture visualization to the new computational cell field, including the creation of 3D models of the intestine tubes, and envisioning cell changes through agent-based simulation. PI: Ming Tang. Associate Professor. School of Architecture &amp; Interior Design, College of DAAP. Co-PI:Tongli Zhang. PhD. Assistant Professor. Department of Molecular and Cellular Physiology. College of Medicine. Data Managment: Tiffany Grant. PhD. Research Informationist. Health Sciences Library. College of Medicine. the web3D model is here.